Product prices and availability are accurate as of 2019-04-22 01:15:06 UTC and are subject to change. Any price and availability information displayed on http://www.amazon.com/ at the time of purchase will apply to the purchase of this product. 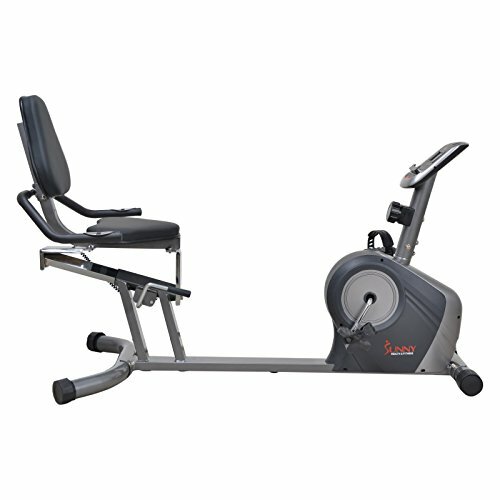 Exercise from the comfort of a reclining position with the Sunny Health & Fitness SF-RB4602 Recumbent Bike. Compact, stable, and comfortable, this ergonomic and low-impact bike features a walk-through design for premium accessibility. An 8-level magnetic tension system and adjustable seat makes switching up the workout intensity a breeze. A stunning large-screen LCD display lists time, distance, speed, and calories burned. 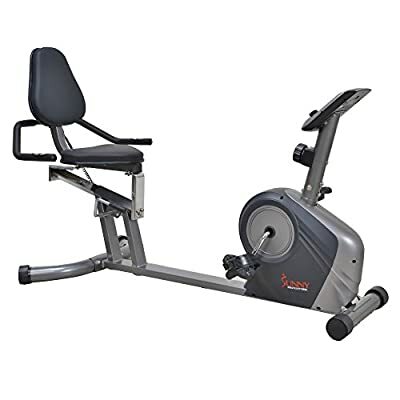 Additional luxuries include a large cushioned seat, cushioned back support, no-slip pedals with straps, and handle bars for a comfortable and complete body workout that tones the legs and glues without joint stress. Supports users up to 300 lbs. 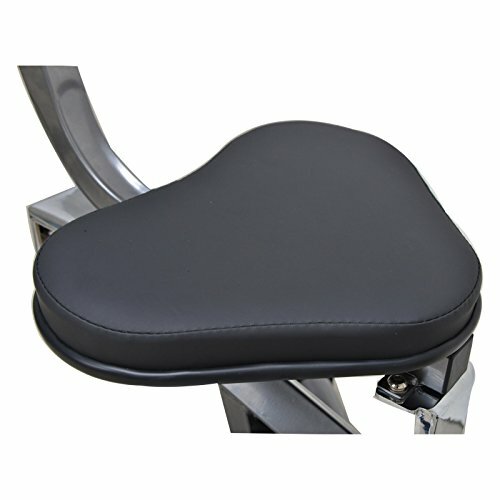 Easy adjustable seat mechanism. Features 8 levels of tension. Equipped with a large LCD screen displaying time, calories burned, and more. Weight capacity of 300 lbs.. Manufacturer's warranty included (see Guarantee & Returns). Dimensions: 61L x 27W x 37H in..